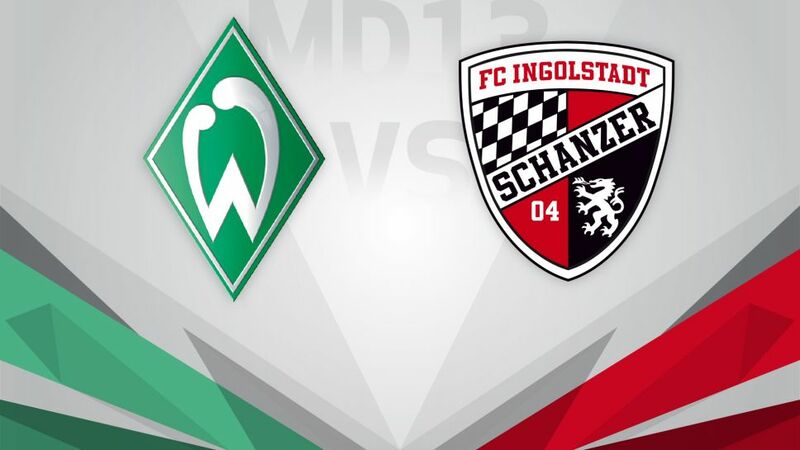 SV Werder Bremen host FC Ingolstadt 04 on Saturday (kick-off 15:30CET/14:30 GMT), in a match that could have huge significance for each club’s prospects of staying in the Bundesliga. Die Grün-Weißen are 16th in the table following their 2-2 draw with fellow strugglers Hamburger SV in the Nordderby, which at least brought their run of four straight defeats to an end and kept their northern rivals at the foot of the table. Three points would move Alexander Nouri’s side up the table and help put some pressure onto the other sides around them. Ingolstadt remain in trouble after they were held by VfL Wolfsburg on Matchday 11, but they are unbeaten in two outings since Maik Walpurgis took over as head coach. In his first match in charge, Die Schanzer came away from Freiburg with a much-needed win and the same outcome on the road on Matchday 13 would see them leapfrog Bremen and possibly move out of the relegation places depending on how SV Darmstadt 98 fare.